In 1955 the United States Army needed to find a use for surplus tanks and trained crews. The Combat Tankers Division was formed and quickly became the most watched sport in American history. 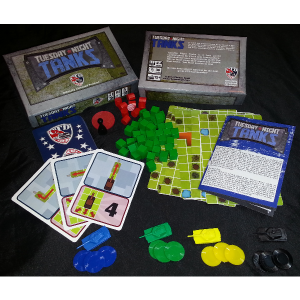 Tank-on-tank combat gave tankers a place to practice their skills while the American public helped fund the armored military. 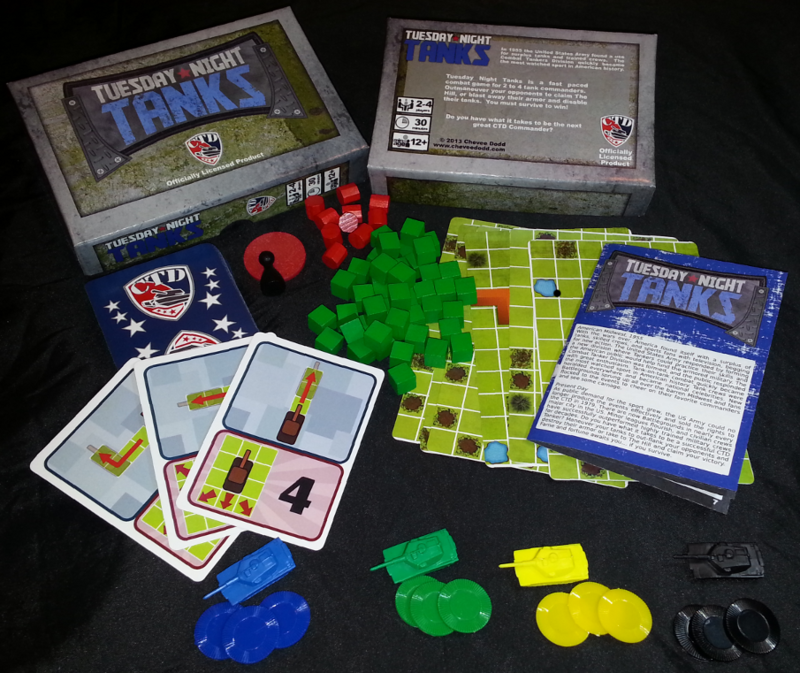 Tuesday Night Tanks is a fast paced, dice-less combat game for 2 to 4 tank commanders. 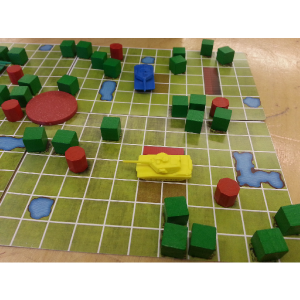 Players compete on a board made of four random map pieces which means the game changes every time you play. 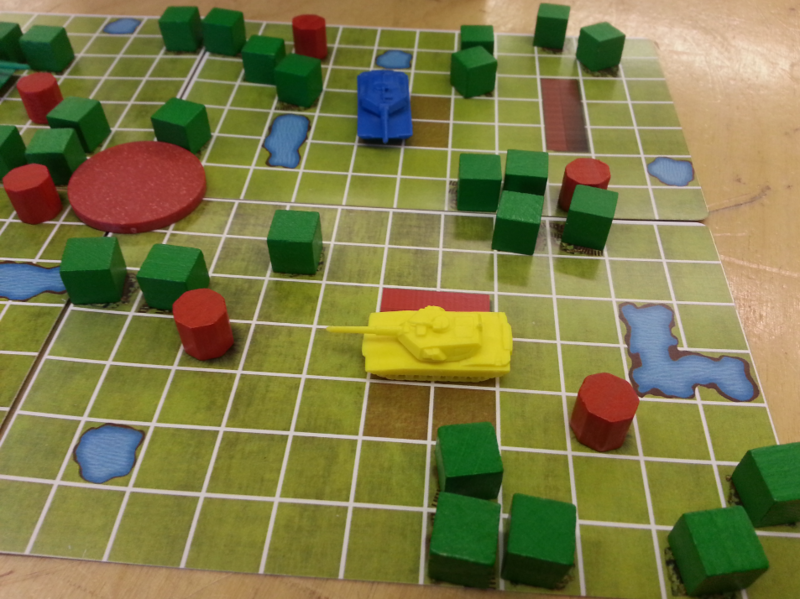 Terrain features have various effects on play: water is impassible, buildings provide permanent protection, while hedges and barrels provide temporary cover. 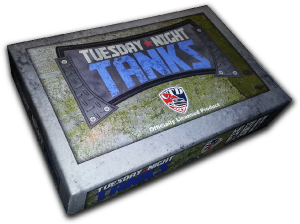 To win the game, you must either eliminate all opposing tanks or spend a full turn atop The Hill. Either way, you must survive to win. Download on the left or visit thegamecrafter.com to purchase a copy!